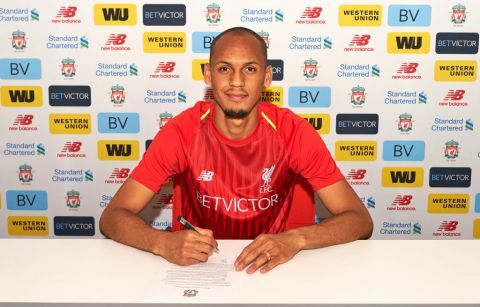 Home / MICHEZO / Liverpool signs the Monaco midfielder fabinho. Liverpool signs the Monaco midfielder fabinho. The Merseyside sides giants have signed the brazilian superstar from monaco for 50million euros he would join the squad in july 1 after medical checks also the midfielder will join naby keita. The player said am really excited about this move,’ Fabinho told LiverpoolFC.com. ‘This is something that I always wanted – this is a giant of a team. The infrastructures of the club look exceptional. ‘A football club of this size coming after my services, I didn’t have to think that much about coming over.